Install your Rough Country Gears easily and accurately with Rough Country's Master Overhaul Installation Kit. This all-inclusive install kit features everything you need to easily install your new ring & pinion gears with confidence. 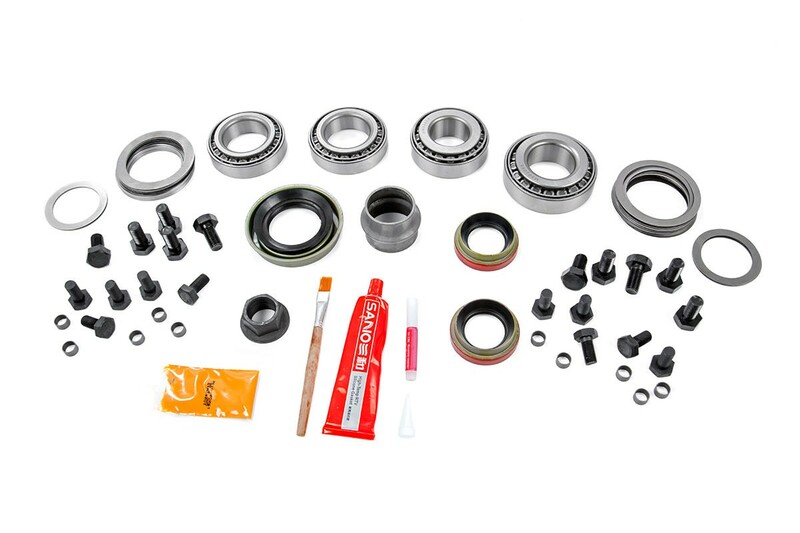 Rough Country's Master Install kit saves you the time and hassle of tracking down the components you need to install a new ring and pinion into your differential. This install kit makes it easy to install the correct shim amount, and mark up the gears for a perfect mesh.